1. Metrowater has taken a considered decision to focus on Fishermen's Colonies and economically disadvantaged section to supply them with good quality water for drinking and cooking purposes. Since most of them are located close to the sea and in the tail end of the city water supply distribution system, they suffer from lack of potable water, resulting in major health related problems. A conscious decision was taken to locate a battery of Reverse Osmosis Plants to help these groups by supplying the potable water by treating locally available brackish ground water through Reverse Osmosis Process. 2. 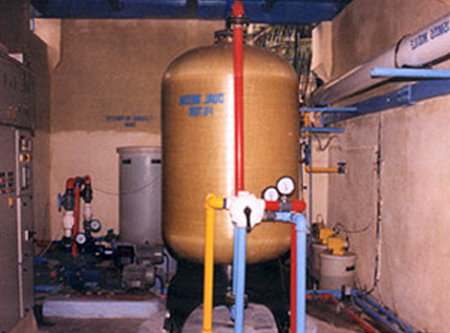 There are three Reverse Osmosis Plants located one at Velachery (4.5 lakhs litres capacity) and the others at Nochikuppam (1.5 lakh litres capacity) and Kasimedu (1.5 lakh litres capacity). 3. 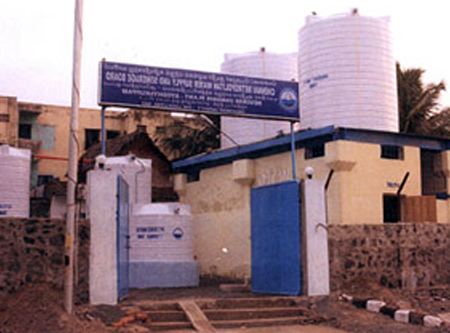 During the year 2001 drought, two new Reverse Osmosis Plants were installed one at Ayothiakuppam (1.00 lakh litre capacity) and another at Kasimedukuppam (Royapuram) serving a population of about 5000 at each location. The Reverse Osmosis Plants consists of open wells and Bore wells to draw the required brackish water for treatment through the Reverse Osmosis Plant. The raw water drawn from the wells is stored in the storage tanks and pumped to the Dual Media filters consisting of quartz sand and anthracite wherein suspended particles was removed. The filtered water from the Dual Media filter is pumped to a micron filter to remove the micron size particles and then fed into the Reverse Osmosis Process Unit by means of high pressure pumps. 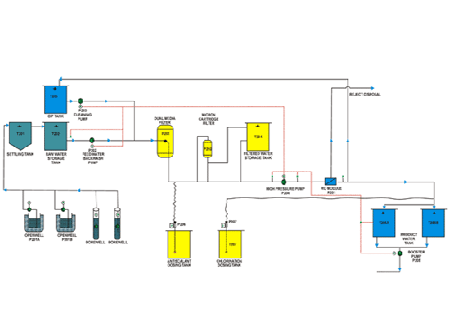 The Reverse Osmosis process module consists of a thin film composite of polyamide membrane. When brackish water is pumped with high pressure through this membrane, the dissolved solids are removed and the output water is of potable quality with dissolved solids content below 500 ppm. The rejects from the Reverse Osmosis modules with high salt content is put into the nearby sewer system for disposal since the quality of the reject is within the permissible limit to dispose through the domestic sewer.